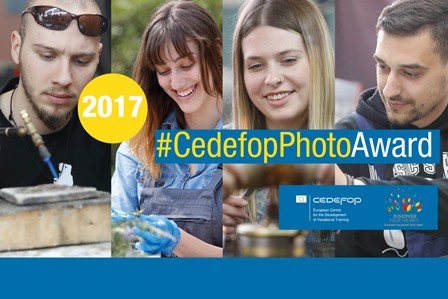 We are accepting applications via email to Cedefopphotoaward@cedefop.europa.eu until 15 July 2017 23:59 CET. For a detailed overview of the competition rules, go to the #CedefopPhotoAward 2017 terms and conditions page. Check out our promotional video with the students and teachers of the Oraiokastro vocational school, in Greece. Follow us on Instagram, Facebook and Twitter for live interaction and exclusive updates on #CedefopPhotoAward 2017. Revisit last year’s #CedefopPhotoAward, as featured on the Cedefop website and the Skillset and match magazine.